Ships tomorrow if you order in the next 21 hours 5 minutes. Auto Ship & Earn + 106 Points What's this? 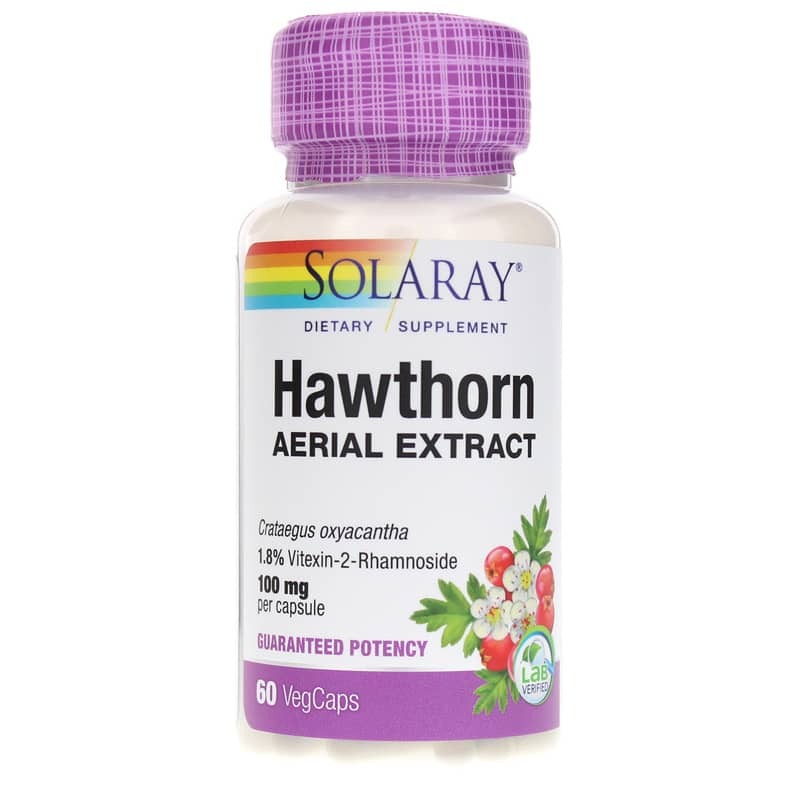 Solaray's Hawthorn Extract 100 mg is a dietary supplement designed to provide nutritive support for a normal, healthy heart. This formula is produced from the flowers and leaves of several species of cragtaegus, a flowering shrub or small tree that is a member of the rose family. Hawthorn contains a number of antioxidants, including OPCs and quercetin, which may help combat the cellular damage from free radicals that contribute to heart problems, such as blood vessel damage. Hawthorn may help improve blood flow by dilating the blood vessels and lessening the damage to the blood vessels. 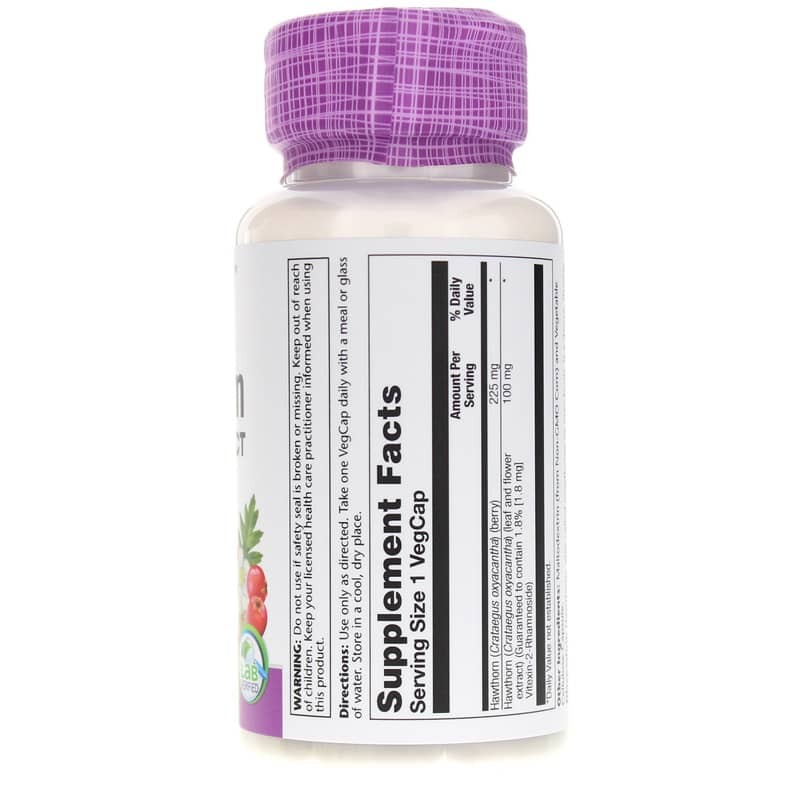 To use as a dietary supplement, adults can take one or two capsules daily with a meal or glass of water.And they should use this supplement only as directed. Other Ingredients: Maltodextrin (from Non-GMO Corn) and Vegetable Cellulose Capsule. Adults: Use only as directed. 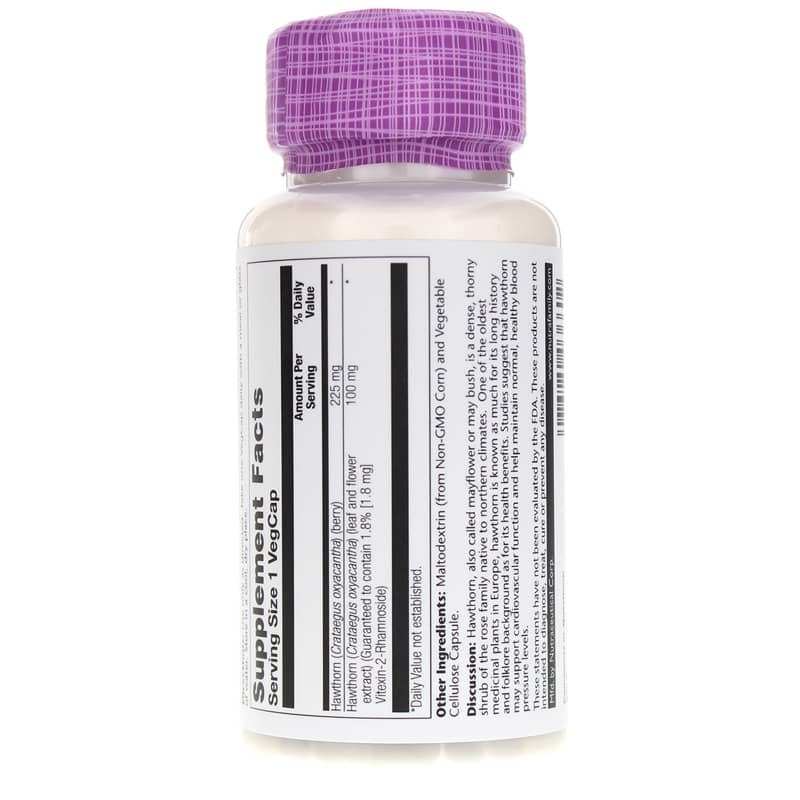 Take one VegCap daily with a meal or glass of water. Store in a cool, dry place.